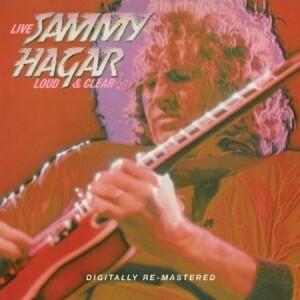 All Night Long was reissued as Loud & Clear as is a live album by Sammy Hagar. It was recorded in 1978 at concerts in San Francisco, San Antonio, San Bernardino, Santa Cruz and Santa Monica in the United States. At the moment we don’t have any archive recordings from the excellent hard rock group Montrose that Sammy Hagar used to front in the early 1970s. There are different versions of this with seven or eight tracks. Sometimes Red is the missing track and sometimes it is Space Station No 5 that isn’t there. This big drawback to this album is that it is so short. This entry was posted in 1970s Live Albums, Heavy Metal Live Albums and tagged 1970s hard rock, 1978 live albums, Heavy Metal 1978, Sammy Hagar Live Albums by Paul Simister. Bookmark the permalink.